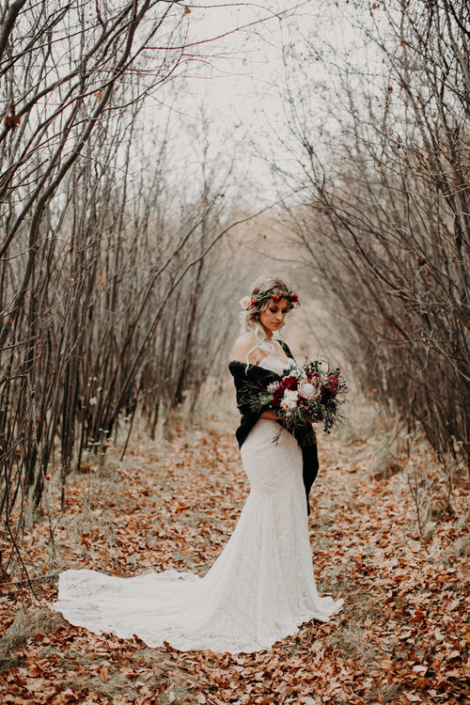 I can’t quite let go of the beautiful colours of the changing leaves and all things pumpkin spice. 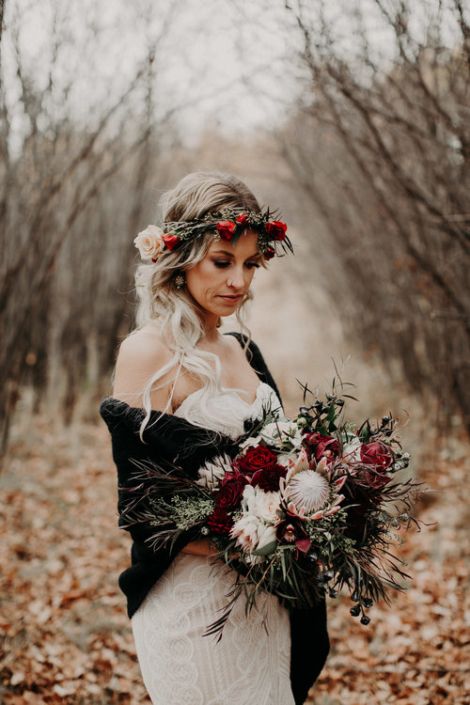 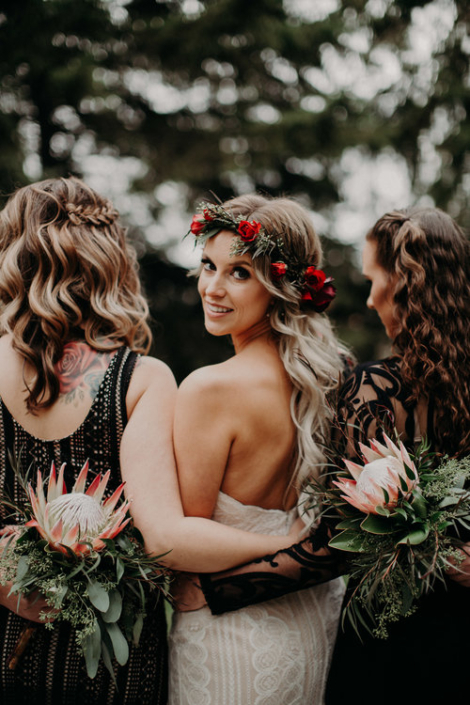 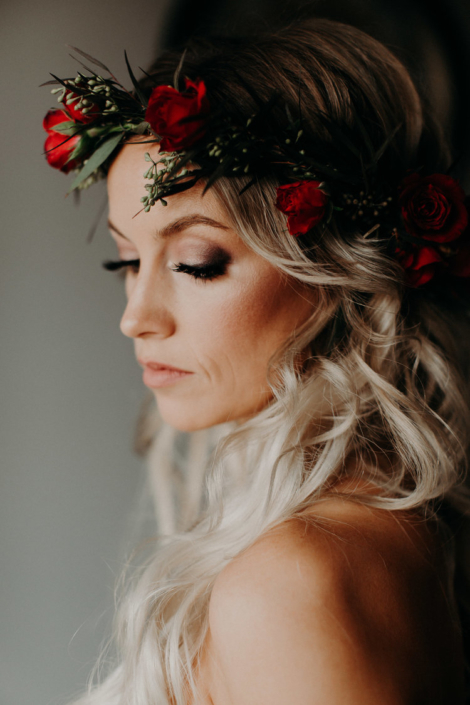 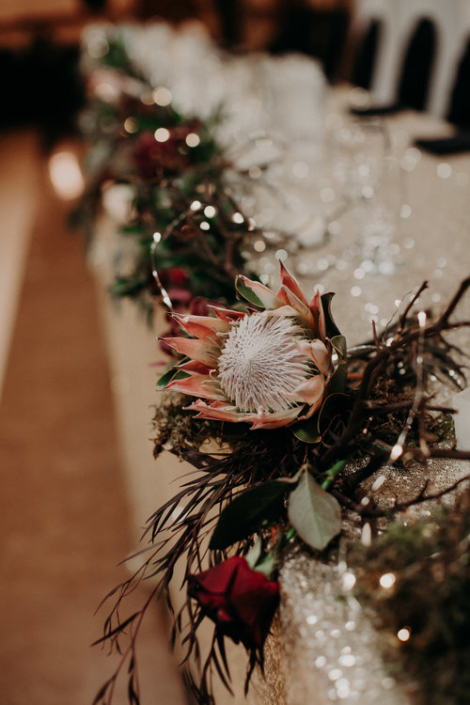 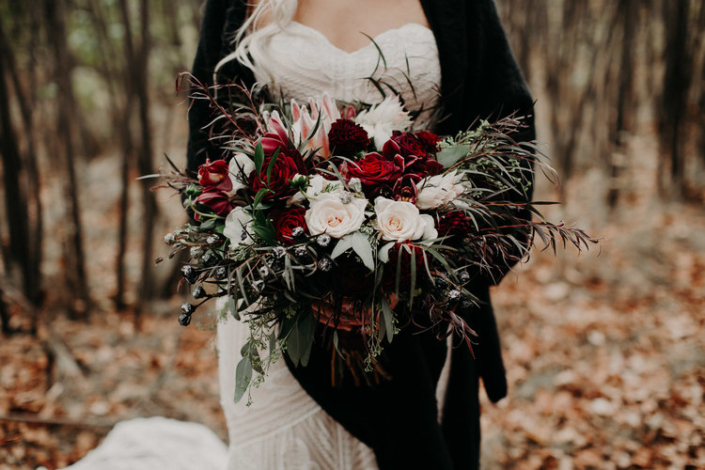 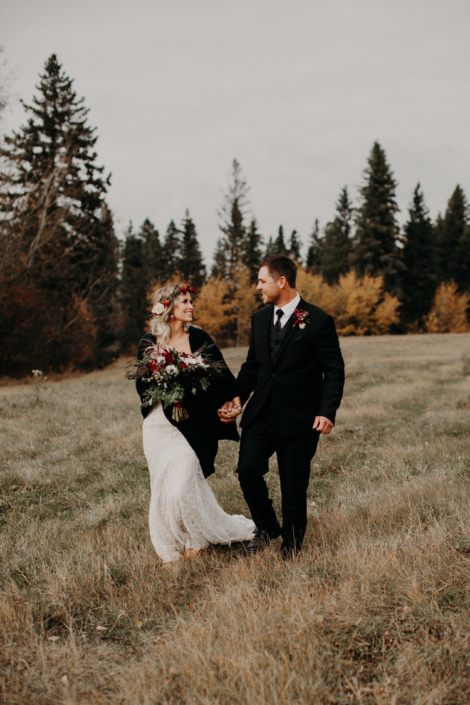 If you are with me or seeking inspiration for your own autumn wedding, check out Sasha and Morgan’s moody fall wedding. 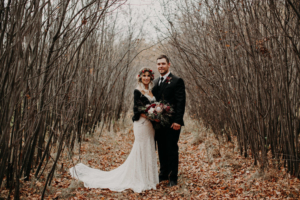 It’s one from last year and it is too good not to share. 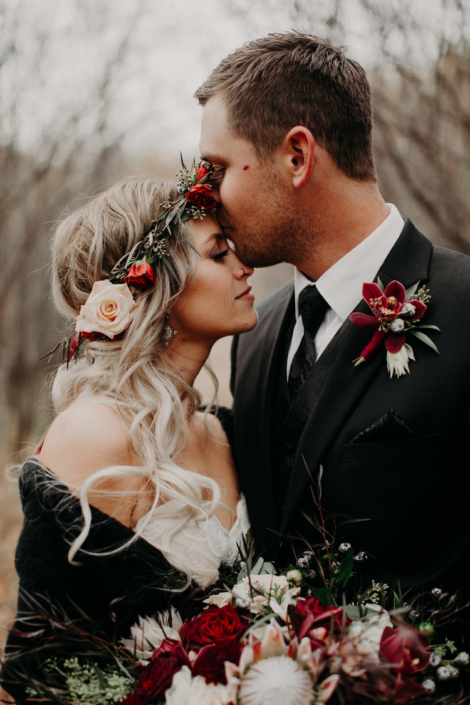 I love everything about this wedding. 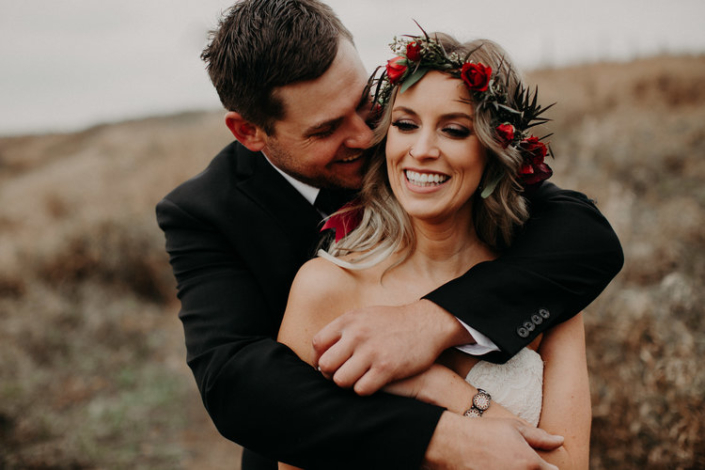 First of all, Sasha was one stunning bride! 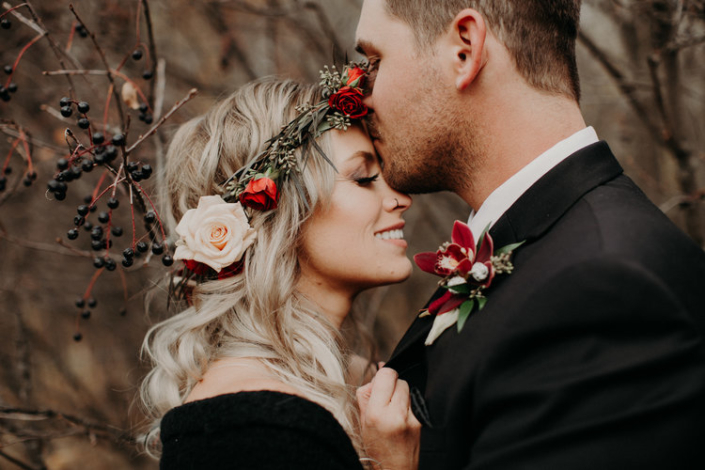 I love the loose feel of her bouquet paired with the floral crown. 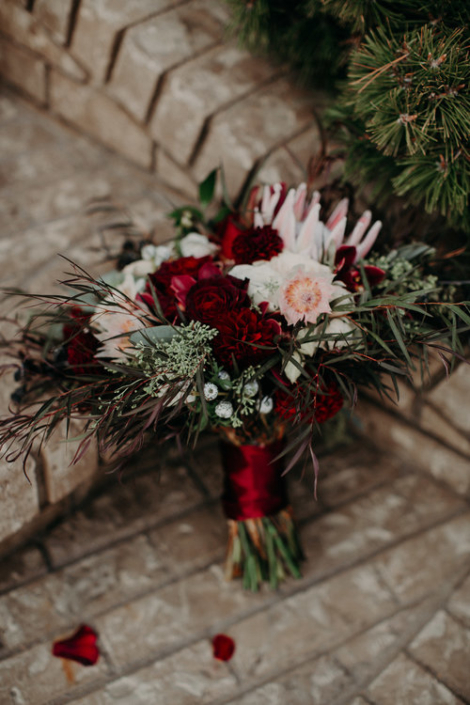 The moody red tones accented by soft blush give me all the feels! 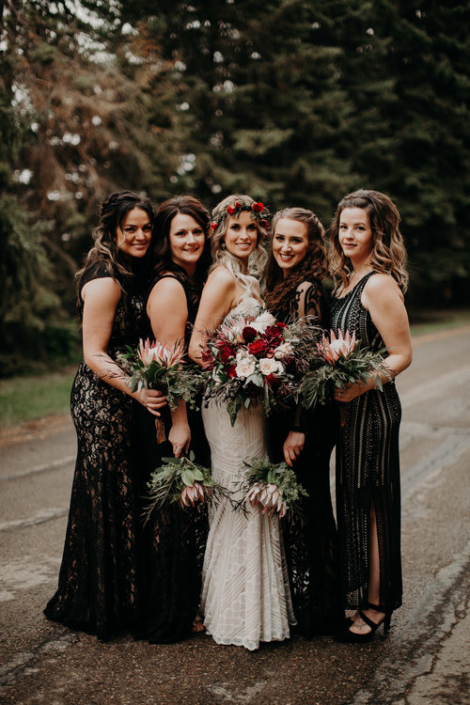 The simplicity of the bridesmaid’s bouquets complement the bridal bouquet nicely. 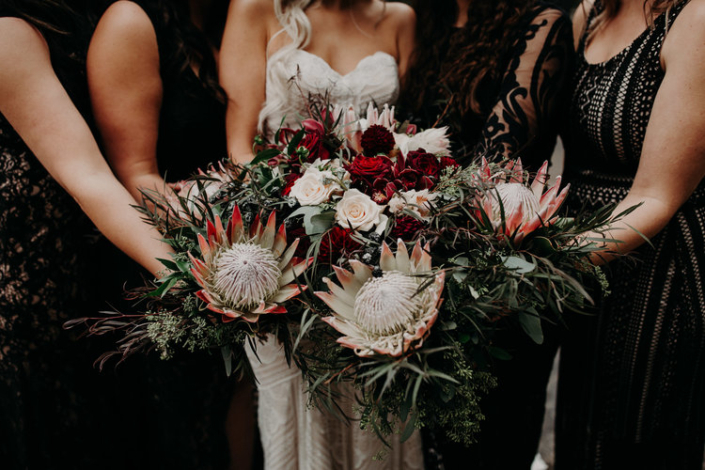 Look at those beautiful King Proteas! 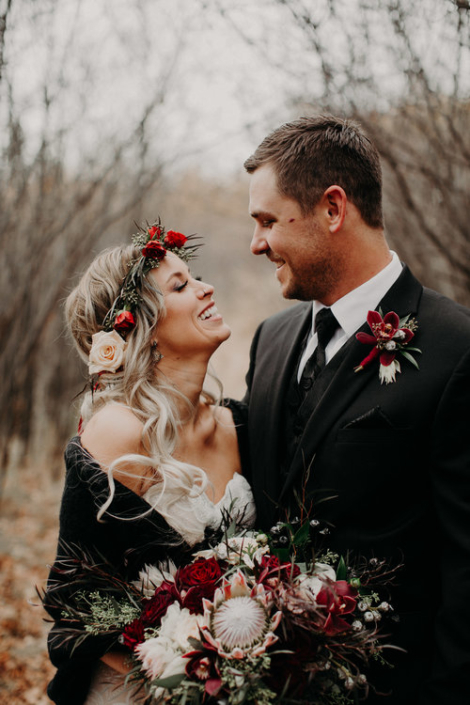 Of course, we can’t forget the groom. 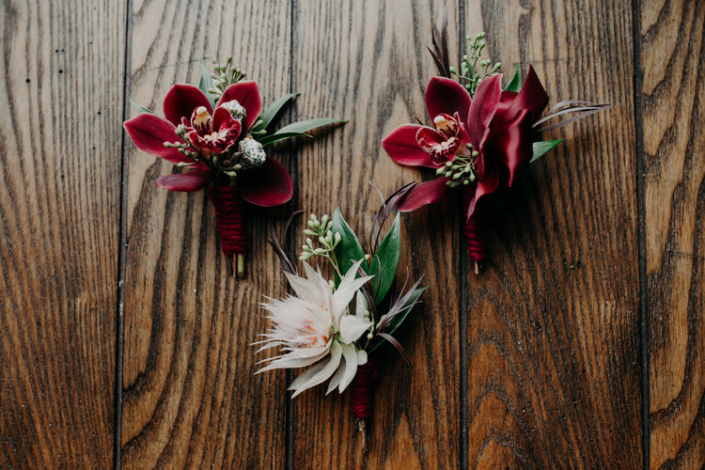 His moody orchid boutonniere ties in perfectly with his bride’s bouquet as well. 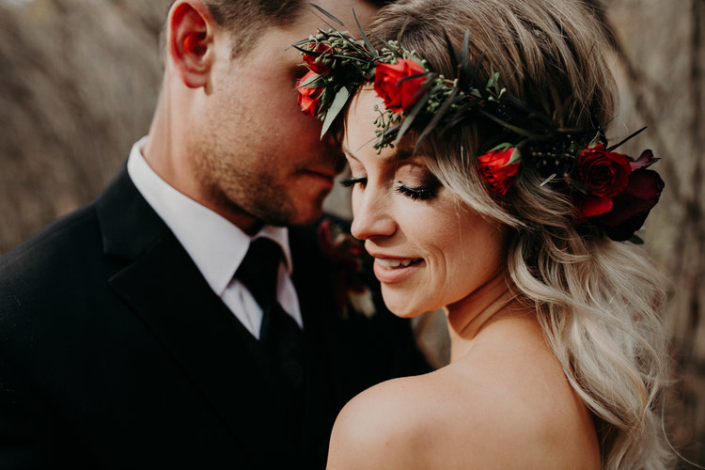 They look so lovely together! 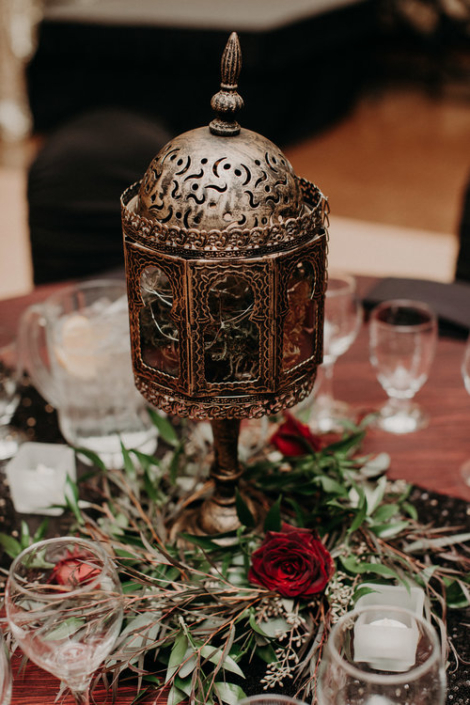 Please enjoy these photos taken by the lovely Candice M Photography.